President Lincoln in November, 1963. Though the first proclamation of a national day of thanksgiving made by a president was George Washington's soon after the passage of the constitution, the holiday was celebrated on a regional level, and haphazardly for the first century of the nation's independence. So we are here reproducing two statements to gives us some perspective on the meaning of the holiday and our shared history. 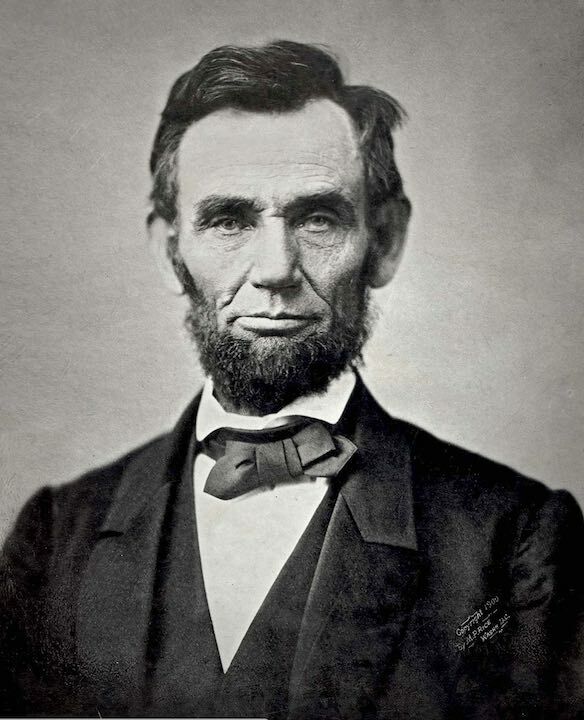 The first is President Abraham Lincoln’s proclamation of a day of thanksgiving. Though such proclamations had been made by previous presidents, including George Washington, it was this federal proclamation in 1863 which marked the beginning of the modern holiday. In the midsts of the violent Civil War, and at a time of great suffering and division, Lincoln asked the nation to set aside a day to remember our blessings and give thanks. The second selection is a proclamation sent from Alcatraz Island during the Native American occupation in 1969. That year, after several attempts to claim the island were halted by the Coast Guard, a group of Indians of All Tribes (IAT) arrived on November 20 to begin a 14 month occupation of the island. This year also marks the establishment of what was later known as Unthanksgiving day, a day to mark the broken treaties between Native Americans by the United States government, which includes the painting of Plymouth Rock red. The proclamation was issued to announce the island’s occupation. You can also watch a video of a recent sunrise "Unthanksgiving" ceremony on Alcatraz, where each year hundreds return to the Rock to remember the event. The ceremony was broadcast live this morning on KPFA community radio. We believe that it merits reading these texts and thinking over what it means to give thanks as individuals and as a nation in this time of division and anxious anticipation. We at The Mendocino Voice are thankful for many things, but perhaps above all, for our readers, so we wish you all a very happy Thanksgiving, and many returns. We will purchase said Alcatraz Island for twenty-four dollars ($24) in glass beads and red cloth, a precedent set by the white man's purchase of a similar island about 300 years ago. We know that $24 in trade goods for these 16 acres is more than was paid when Manhattan Island was sold, but we know that land values have risen over the years. Our offer of $1.24 per acre is greater than the 47¢ per acre that the white men are now paying the California Indians for their land. We will give to the inhabitants of this island a portion of that land for their own, to be held in trust by the American Indian Affairs [sic] and by the bureau of Caucasian Affairs to hold in perpetuity—for as long as the sun shall rise and the rivers go down to the sea. We will further guide the inhabitants in the proper way of living. We will offer them our religion, our education, our life-ways, in order to help them achieve our level of civilization and thus raise them and all their white brothers up from their savage and unhappy state. We offer this treaty in good faith and wish to be fair and honorable in our dealings with all white men. From the Indians of All Tribes announcing the occupation of Alcatraz Island, November 20, 1969. Very NewAgey. Sounds positive. But is it? Could it be soporific, numbing us to stepping out and doing something perhaps revolutionary in order to change the dominant paradigm which seems to be leading us to economic and planetary collapse? Please watch this 20 minute documentary I made with a friend called “Let Your Life Be a Friction to Stop the Machine”.